Juan Carlos Osorio and El Tri can rest easy with the news they’re safe for a World Cup spot in Russia. As only one of six teams to claim a spot, Mexico can use its remaining games to tinker and try out new players/formations. That being said, Costa Rica on the road will be a very daunting task, and with many players out, a positive result will be huge moving forward. Costa Rica is coming off a massive 2-0 win over the United States, putting them one step closer to that guaranteed spot. Their momentum will be very difficult to slow down, especially with 36,000 fans backing them in Estadio Nacional de Costa Rica. 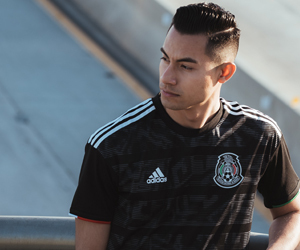 If Mexico wants to walk away with points, they’ll need to stay poised. Juan Carlos Osorio tends to send out different players, but I don’t see him messing around with experience. We will most likely see a similar lineup to one earlier in the year, with exception of Gallardo, Álvarez, and Montes. Mexico has had mixed results when on the road in Costa Rica, however, I see this one ending in a 1-1 draw. A point for Costa Rica will make them happy, and JCO and co. will be satisfied with four points in September. It appears the rumored loan for Miguel Layún will not happen. He will remain with FC Porto and fight for a spot in the starting eleven. Jesús Dueñas left training with Mexico due to a family emergency. Raúl Gudiño has successfully signed with APOEL FC on loan. Although it is not a powerhouse European team, he will be in the Champions League in a very tough group. He has also been given the #1 jersey.